The gap between those who are able to go online and those who can’t continues to shrink globally, thanks to the boost from smartphones and wireless networks and an effort to bring down the cost of services in the least developed markets. 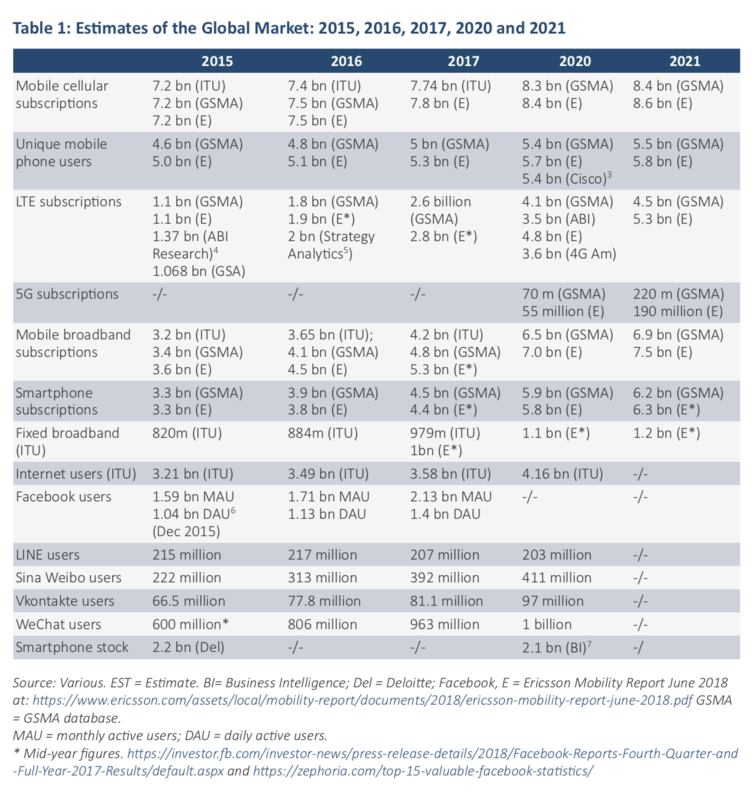 According to a new report published today by the International Telecommuncation Union, the United Nations agency that oversees communications standards, teledensity and connectivity initiatives — there will be 4.4 billion mobile broadband users globally by the end of this year, a rise of 1.1 billion since it last measured figures three years ago. Behind those numbers, there are some interesting trends underway. While fixed broadband services do continue to increase — we’re now approaching 1 billion fixed broadband users — mobile is definitely the name of the game when it comes to global internet access. There are also now no less than 25 countries with mobile broadband subscription penetration (number per 100 habitants) over 100 percent — meaning that on average, people own more than one device or more likely, more than one SIM — since ITU notes that between 2015 and today, mobile phone stock has actually decreased by 100 million to 2.1 billion. Indeed, in some countries, the multi-SIM use case has really taken hold. In Macao, China, there are just under 322 mobile broadband subscriptions per 100 people. Iceland, meanwhile, has overtaken South Korea as the country with the highest overall internet usage, covering both fixed and mobile. The ITU said that 98.2 percent of its population are online, with Kuwait in second at 98 percent. One thing that is not changing is the fact that connecting people in more remote areas remains a challenge. Although now almost half of the world’s population use the internet, most of them are in urban and other areas with dense populations. This means that despite the cost of deploying services has been dropping over time, building infrastructure to cover the next 1.5 billion people will cost $450 billion. Typically, more mature economies have invested a higher proportion of GDP on connectivity than developing countries — typically over three percent versus around one percent, says the ITU. The other big force in terms of communications continues to be over-the-top messaging services. These continue to drive adoption, and also are replacing traditional communications services offered by telcos. 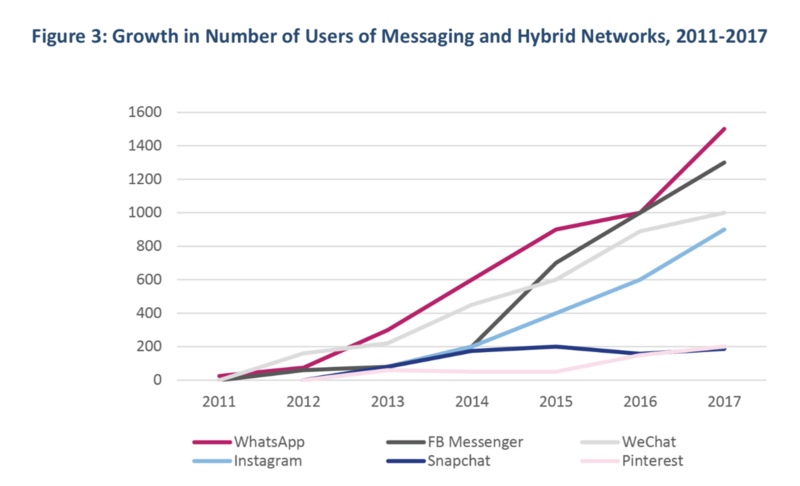 Facebook — owner of Messenger, Instagram and WhatsApp — dominates three of the top four messaging services globally, with WeChat rounding out the mix. Another notable statistic in the ITU report is the state of the gender divide, which is actually getting wider. In 2013 it was 11 percent and in 2016 it was 11.6 percent in terms of using digital services. Women, it said, are on average 26 percent less likely to use the internet than men. It doesn’t provide figures for 2018, and it will be interesting to see how this is developing in light of all the efforts we’ve been seeing to improve gender equality overall.